Swords and Sorcery fantasy with mystery, horror and romance. Prince Cory’s inheritance could kill him. Cory’s life is changed forever after his grandfather’s death when their enemy strikes at the heart of their kingdom. With the darkest of magic at work, the survival of the royal line and the souls of all in his kingdom are at stake. Can Cory take up his grandfather’s enchanted blade, become the new general Valendo desperately needs and do the one thing his grandfather never could? The General’s Legacy is the first book in The General of Valendo gripping epic fantasy series that features lifelike characters, magic, romance, horror, and the pace and excitement of a thriller novel. Pick up The General’s Legacy now because you love to discover action-packed swords and sorcery full of mystery and intrigue with a unique plot you’ve never seen before. This book took me places – places of danger and bravery and mystery. The author’s voice is intriguing – at times, cold as evil; at times, lyric as an angel. All-round excellent read. …most definitely entertaining and magical reading. The General’s Legacy story is also available in two volumes. 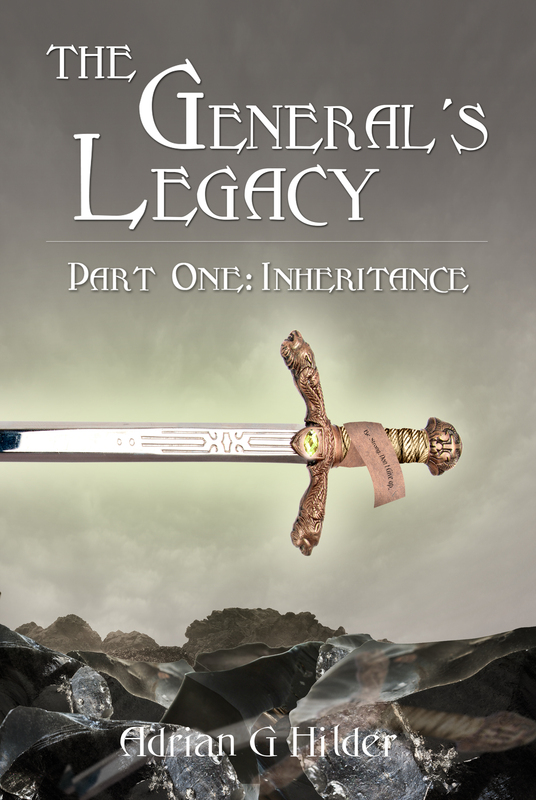 The General’s Legacy – Part One: Inheritance is just 0.99 and also available as a free gift when joining my readers’ group email list. Paperback: The single volume edition of The General’s Legacy is available as a paperback (see above).